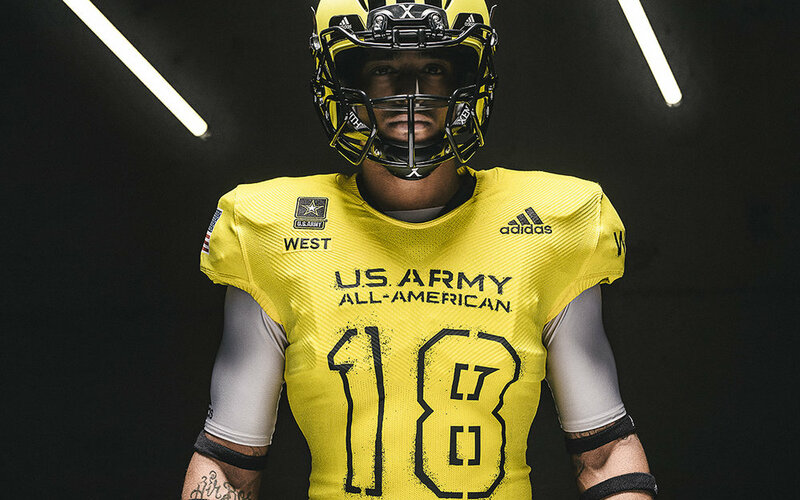 adidas has released their 2018 Army All-American Bowl uniforms that will hit the field January 6th. 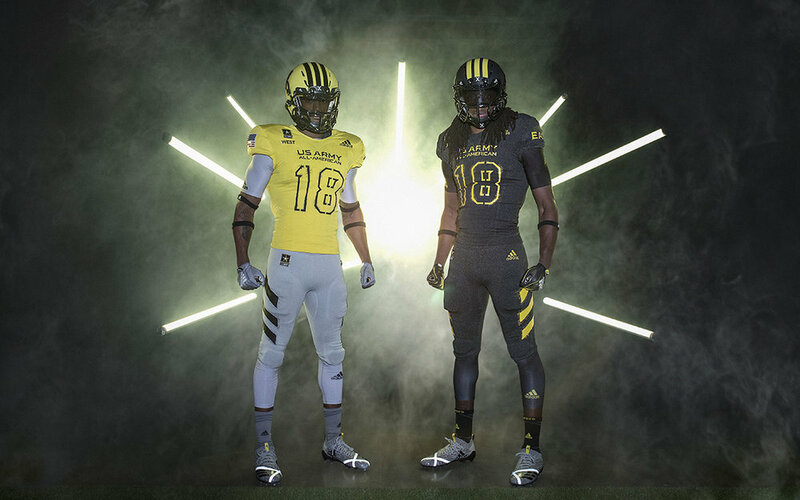 The new Primeknit A1 uniforms is the newest compression uniform system inspired by the UltraBOOST & NMD. The inspirations can be seen in the collar, sleeve cuff and hem. 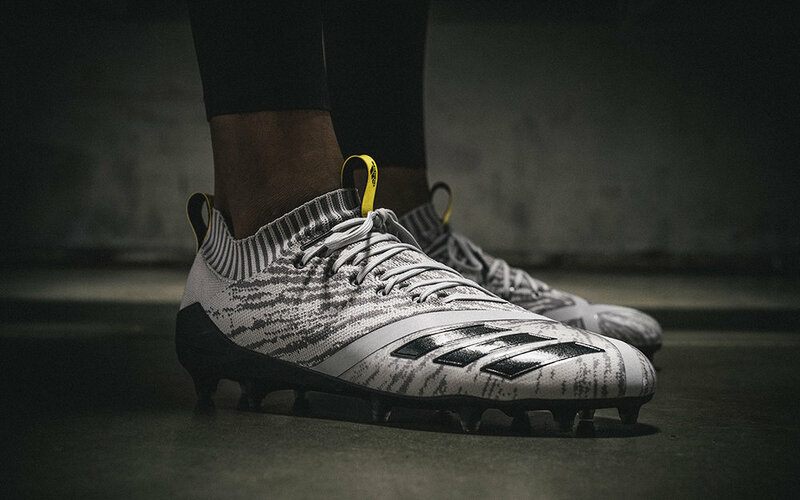 The newly re-engineered Primeknit A1 pants now featured only two seams. 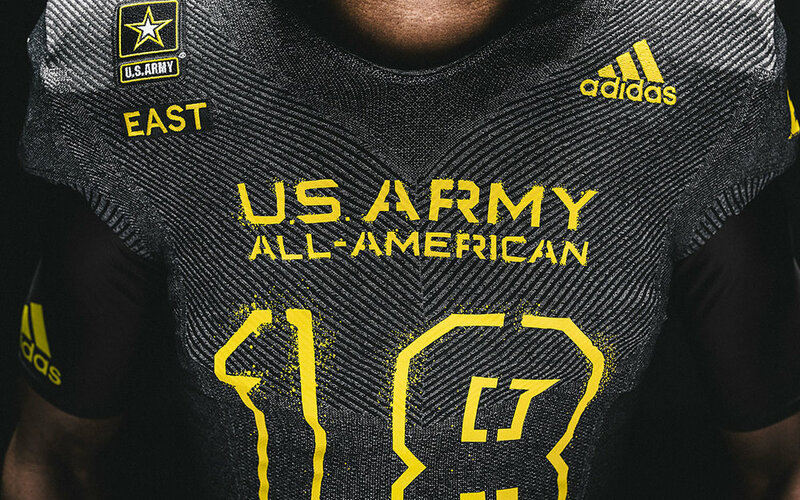 The U.S. Army PT shirts give inspiration to the overspray stencil look for the player's numbers, stripes on the pants and U.S. Army All-American logo on the chest.